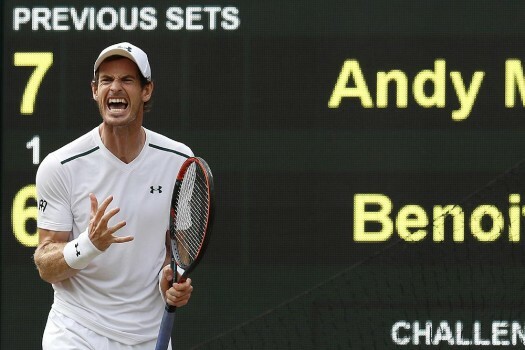 Britain's Andy Murray celebrates winning a point against Benoit Paire of France during their Men's Singles Match on day seven at the Wimbledon Tennis Championships, in London. 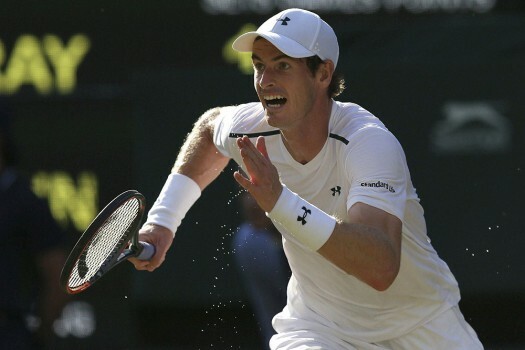 Britain's Andy Murray runs to make a return to Germany's Dustin Brown during their Men's Singles Match on day three at the Wimbledon Tennis Championships, in London. 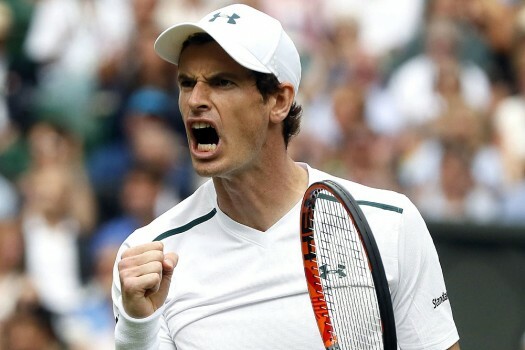 Britain's Andy Murray celebrates a point against Kazakhstan's Alexander Bublik during their Men's Singles Match on the opening day at the Wimbledon Tennis Championships, in London. 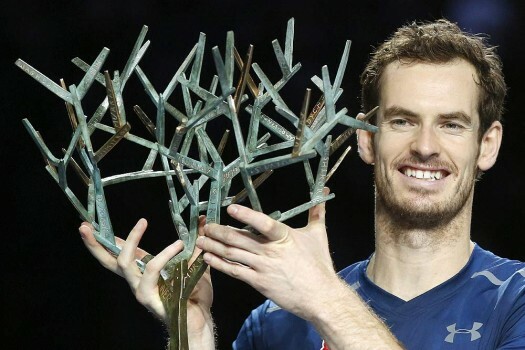 Andy Murray of Britain holds the trophy after winning the ATP World Tour Finals singles final tennis match against Novak Djokovic of Serbia at the O2 Arena in London. 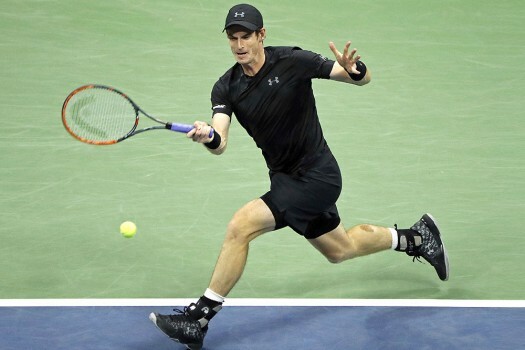 Andy Murray, of Britain, returns a shot to Grigor Dimitrov, of Bulgaria, during the fourth round of the U.S. Open tennis tournament, in New York. 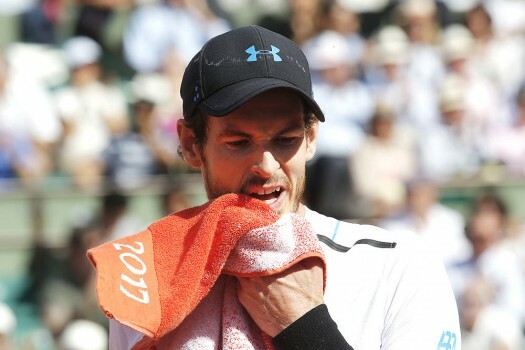 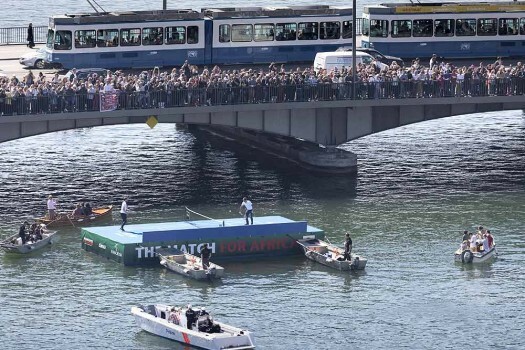 Murray won 6-1, 6-2, 6-2. 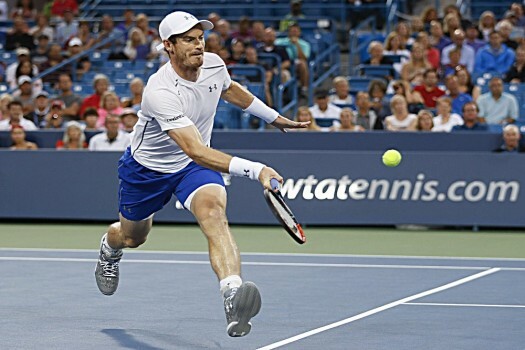 Andy Murray, of Britain, returns to Milos Raonic, of Canada, during the semifinals of the Western & Southern Open tennis tournament. 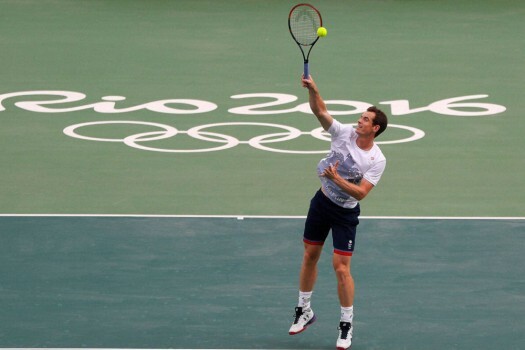 Andy Murray, of Britain, returns a ball during a practice session on the central court ahead of the upcoming 2016 Summer Olympics in Rio de Janeiro, Brazil. 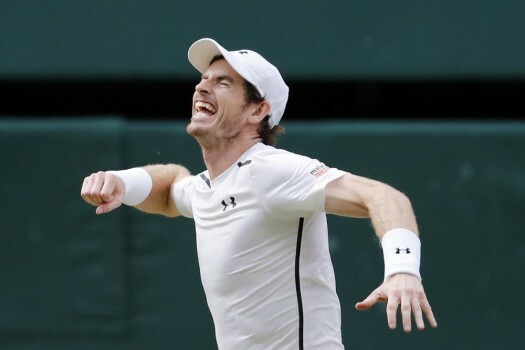 Andy Murray of Britain celebrates after beating Milos Raonic of Canada in the men's singles final on the fourteenth day of the Wimbledon Tennis Championships in London. 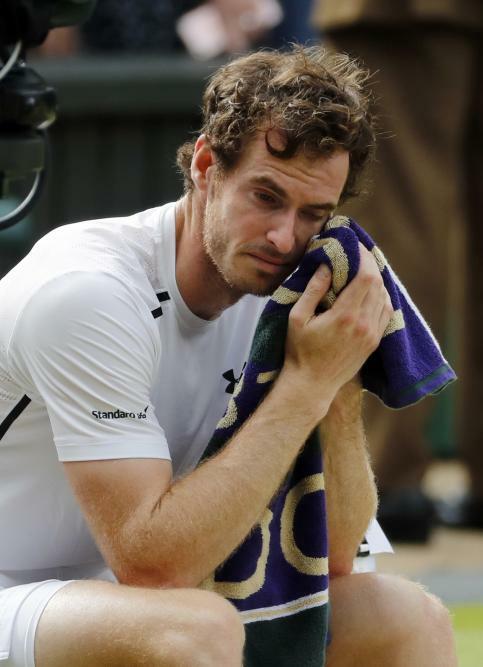 Andy Murray of Britain cries after beating Milos Raonic of Canada in the men's singles final on the fourteenth day of the Wimbledon Tennis Championships in Londo. 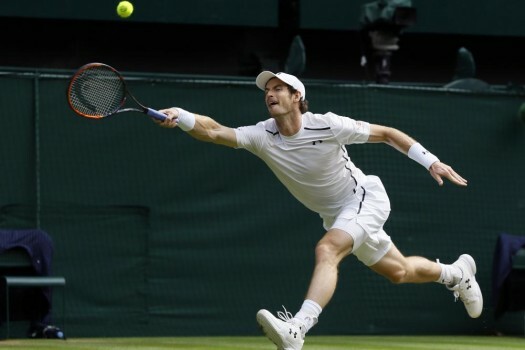 Andy Murray of Britain serves to Milos Raonic of Canada during the men's singles final on the fourteenth day of the Wimbledon Tennis Championships in London. 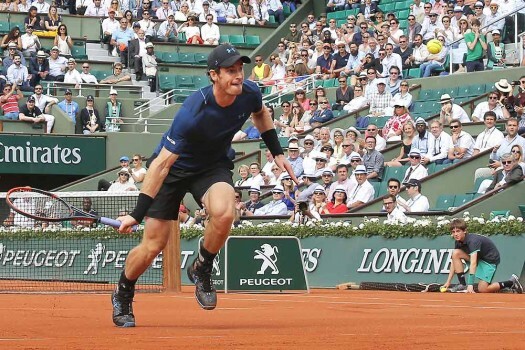 Andy Murray of Britain returns to Milos Raonic of Canada during the men's singles final on the fourteenth day of the Wimbledon Tennis Championships in London. 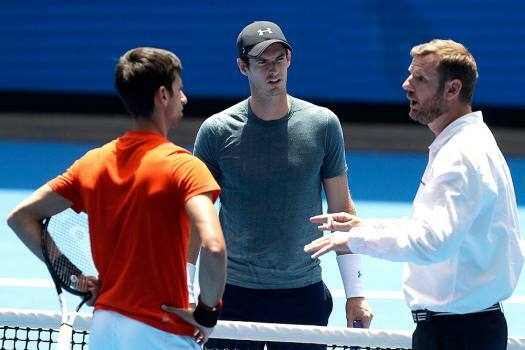 On Day 2, Novak Djokovic, Alexander Zverev, Milos Raonic will take the court. 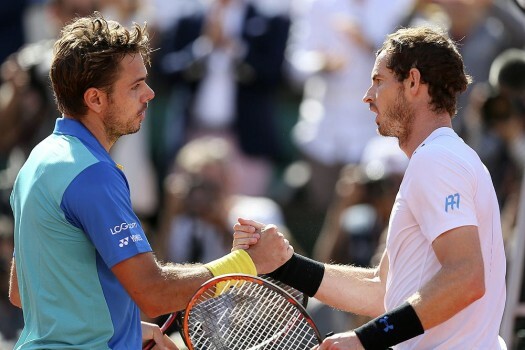 Murray, 31, produced a superb fightback but went on to lose the match in five sets to the Spaniard 6-4 6-4 6-7 (5-7) 6-7 (4-7) 6-2. 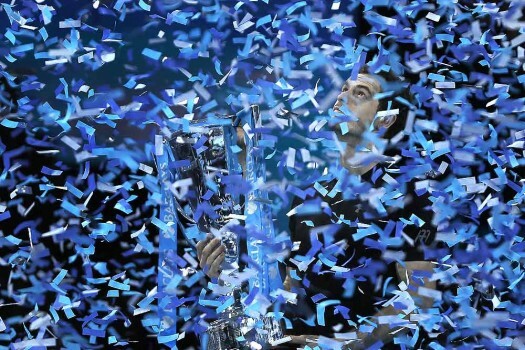 The 31-year-old, who won the grass-court Grand Slam in 2013 and 2016, announced last Friday retirement was on the cards due to a chronic hip injury. 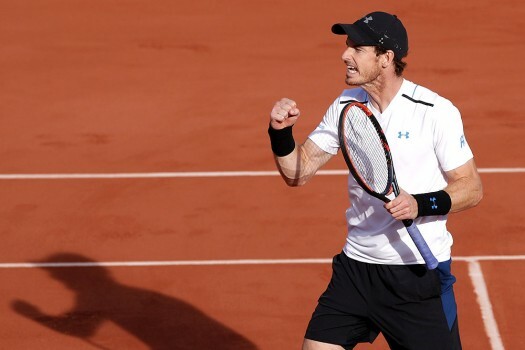 Murray of Great Britain will face the winner of the match between John Isner of the United States or Russian Karen Khachanov, next. 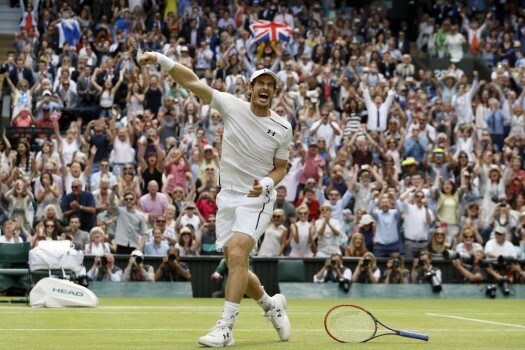 I cherished the moment my coach Ivan Lendl finally smiled, the first time in several years.